good health. good food. good environment. 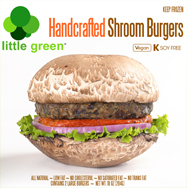 ​Little Green Foods offers an exciting variety of Handcrafted Vegan Burgers that deliver quality nutrition you can trust. 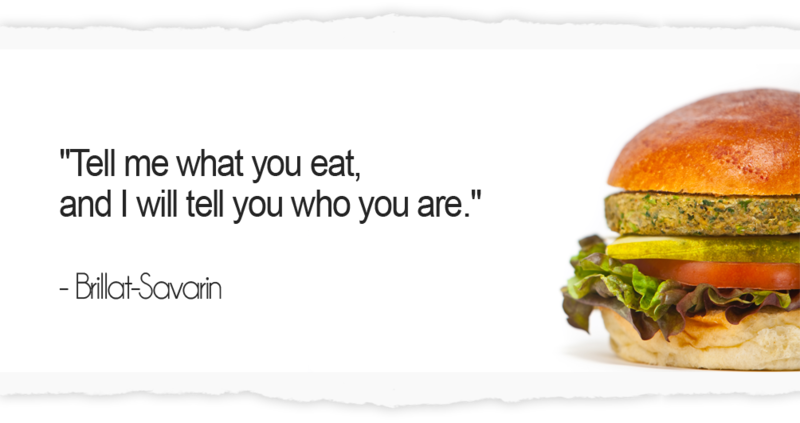 Each organic veggie burger is handmade by people who care about what they do because that makes our burgers a tasty one-of-a-kind treat you’ll enjoy eating all the time. 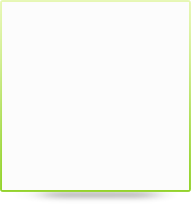 We are located in Bergen County, N.J. and strive to produce Eco Friendly Burgers that are good for you and good for the environment. 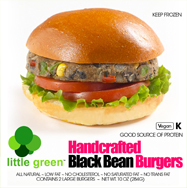 Our vegan burgers are low in fat and contain no saturated fat or cholesterol. Our employees all live in the area, and we use renewable energy to help run our facility. 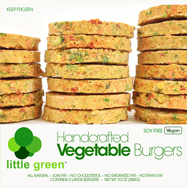 Our frozen vegetable burgers are easy to prepare and enjoy. Pop them in the frying pan, the oven or on the grill, and enjoy them with or without bread. They are delicious plain or with any accompaniment. For a fun twist, crumble the cooked organic veggie burgers into pieces with pocket lettuce, tomato and a dab of hummus. Nothing so healthy ever tasted this good. 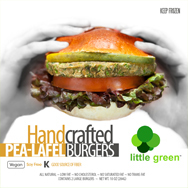 Our Hand Crafted Vegan Organic Veggie Burgers can be found in fine restaurants and natural food markets in the Tri State area. So be sure to check them out. If your local retailer doesn’t carry our products, take a moment to get in touch with their customer service representative and ask them to stock Little Green Foods. Your friends and neighbors will thank you every time they pass by the frozen food section. 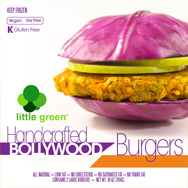 Copyright 2013: Little Green Foods | Handcrafted Burgers | All rights reserved.